Also a grandson of the firm’s founder, Andrew joined RJC Evans & Co. in 1989 after spending 10 years in the teaching profession. Client focussed, Andrew helps with not only taxation needs, but in developing strategies to help clients manage the challenges of operating a business. Andrew has over 25 years’ experience in advising farmers and business people. 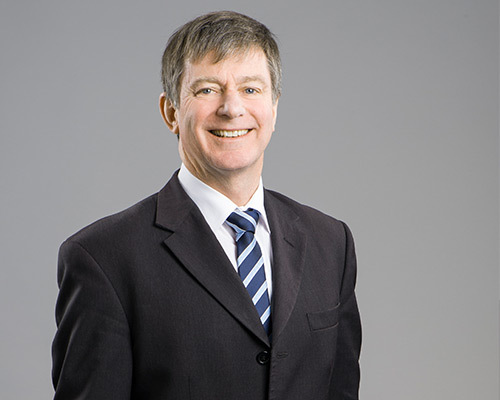 Specialising in the areas of tax, accountancy and business advisory services, Andrew is able to provide clients with an integrated service offering. Over the years, Andrew has assisted many clients with family Farm Succession, Estate Planning and Financial Management. Andrew’s experience in Superannuation, Estate and Succession Planning has been invaluable in assisting clients in understanding the steps required to transition from a business, or to retirement. Andrew utilises his sound knowledge of Tax and Superannuation law to, “plan clients’ tax, not tax their plan”.